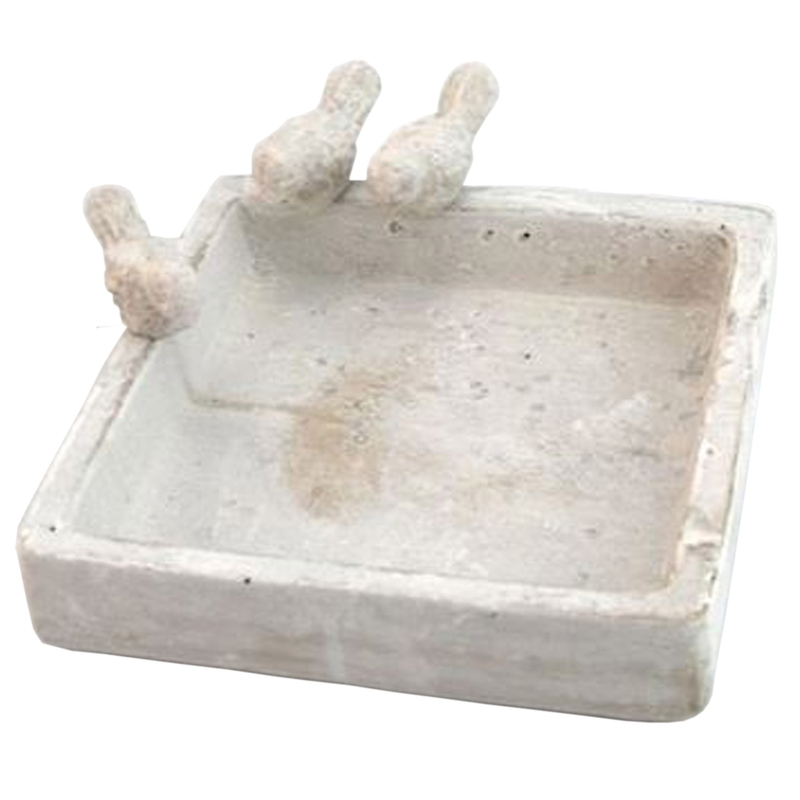 Square Birdbath features three delicate bird figurines making it an attractive addition to any outdoor space. Due to its simple design, this charming outdoor birdbath will be perfect amongst all styles of garden furniture and will look beautiful no matter the setting. Made from stone, this beautiful piece of garden decor has been made to last.